It can be easy to set up a social media account through multiple platforms like Facebook and Twitter, post a few times, and then think that you have just completed the process. But in reality, it takes a lot more work than that to manage your social activities online. We understand the importance of having a positive online presence, and that is why we offer services in social media management. When you let your social campaign grow stale, or if you don’t have one at all, it can be the gap that is causing you to lose a lot of potential sales. Don’t let this happen to you. Get an edge on your competition today and bring in the professionals at Netzone. Here are a few of the benefits you’ll see when you involve social media management in your internet marketing plan. One of the most important things you can do for your business online and off, is build relationships, and that is exactly what social media allows you to do. We know that all social media platforms have different trends and techniques that pull people in, and helps them get to know you on a more personal level than your business website can provide. This builds trust between your brand and your customers. We focus our efforts on building these positive relationships that get customers in Atlanta to refer your services to friends, share and like your business via Facebook, Twitter, Linkedin and all other outlets, and then keep them coming back to visit you. It can get saturated online with so many businesses fighting for attention. With social media management, we make sure to set you apart from the competition so people actually see your company and associate you within your niche. This will put you leaps and bounds ahead of everyone else in your industry. Conversion rates are important for getting your website ranked higher by search engines. Every time someone likes, shares, or comments about your business on social media, you’re getting a conversion. 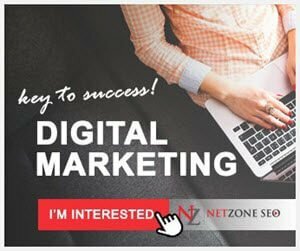 At Netzone we strive to achieve the most conversions possible for your website in order to move you to the top page of Google. Having the experienced professionals at Netzone manage your social media means you’ll have a consistent campaign that is continually being promoted through multiple platforms. One of the biggest mistakes a company can make is trying to perform all of the social media activities themselves. This can often lead to mediocre content and response rates, as well as an inconsistent posting schedule. We value your time, and know that you have a business to run! That’s why we take all of the guesswork out of it for you, and you have more room in your day to focus on more pressing tasks. Get in touch with us today, and let us take the worry of social media management off of your shoulders. Enter your URL below to get full - in-depth SEO report and tips.